Speaker: Doreen Stoller, Executive Director, Hermann Park Conservancy. Doreen Stoller is the Executive Director of Hermann Park Conservancy. 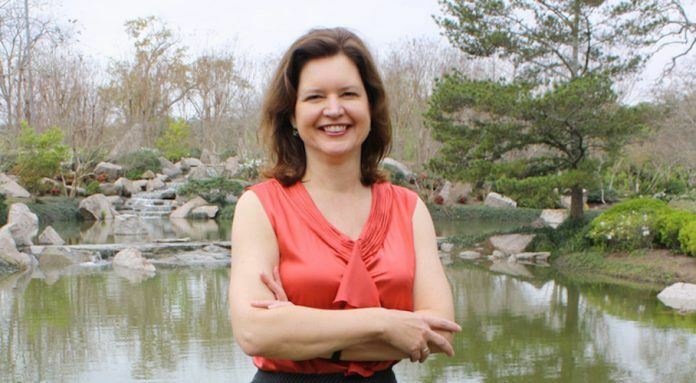 Since assuming the role at the start of 2003, she has helped drive Hermann Park‘s revitalization through the Conservancy’s $123 million Centennial Campaign and engendered widespread community support for the park. Born in Decatur, Illinois, Stoller moved to Houston as a teenager, attending Spring Branch Junior High and Memorial High School. She graduated from Yale University, New York University Institute of Fine Arts and Rice University Jones Graduate School of Business. Today she is a member of Christ Church Cathedral in downtown Houston, where she spent six years singing in the choir. An avid reader and cook, Stoller and her husband, Dan Piette, often can be seen riding their bicycles around the city and Hermann Park, of which she is understandably particularly fond. Hermann Park Conservancy is a citizens' organization dedicated to the stewardship and improvement of Hermann Park - today and for generations to come. The nonprofit organization's goals include: providing a focus for the improvement of Hermann Park through capital projects and maintenance initiatives; promoting the enjoyment of Hermann Park through education and outreach; and preserving Hermann Park's natural resources and increasing the size and health of the tree canopy.